Ok so say you have a mushroom bag or basket. You’re using it for edible species. In time you accidentally pick some poisonous ones and mix them w edibles. How much poisonous variety would you need to become sick? I’m sure it’s relevant to lots of things but I guess I’m wondering about say mushrooms rubbing against each other and transferring material. Or if a tiny piece broke off and made it in w the edible? Also do the spores contain the toxicity? So say you were walking and it was sporing, could the spores make you sick if they got on your edible? I’d assume washing em would knock most off? Do I need separate bags per species eventually? 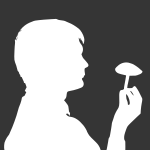 My plan so far has been identifying easy type mushrooms. Only eaten things collected by others but information is always good. Awesome question, I'm looking forward to what people have to say. I have heard of mushroom lung before which is an inflammation of the lungs that people who work with shrooms develop. However this is due to the actual spore affecting the lung in a physical way causing irritation, as in a foreign object being in the lungs when it isn't supposed to be. Yikes, I re-read your post and realized you were asking about ingesting spores, nevermind! Carry on. Never a bad idea to carry separate paper bags. Any occasion that you are sceptical or want to to bring a find back to i.d. it's best to isolate them from known edibles. As far as proximity; I honestly don't know. Sure, I have picked up toxic mushrooms and had them together along with edibles. Always separated them, at home, and never had any ill effects. Hopefully Dave can give an answer regarding the potential spore danger. Again, always a good idea to separate finds. Bowguy, for some reason your question stuck in my head. I do recall a similar conversation, here or on another site, that dealt with spores. This topic, as I recall, dealt with stomping on dried puffballs (probably scleroderma citrinum) while picking blueberries. I believe this resulted in gastric upset from the spores drifting onto the harvested blueberries. This was some time back and I think I recall the circumstance correctly. Anyhow just wanted to follow up as your question was rolling around in the back of my head.